This is the finished product. 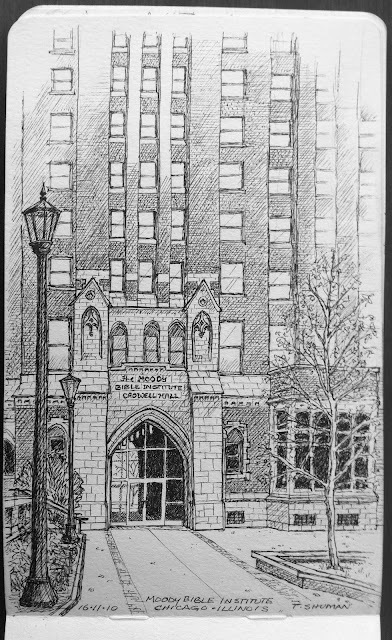 It was fun to be in Chicago on the campus of Moody Bible Institute for the day. 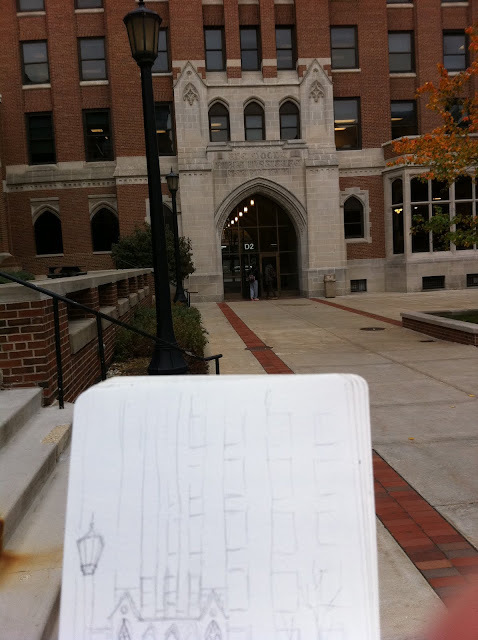 I had to sneak outside and make a sketch of the front of Crowell Hall. I love the look at that entrance. See my drawing process below. 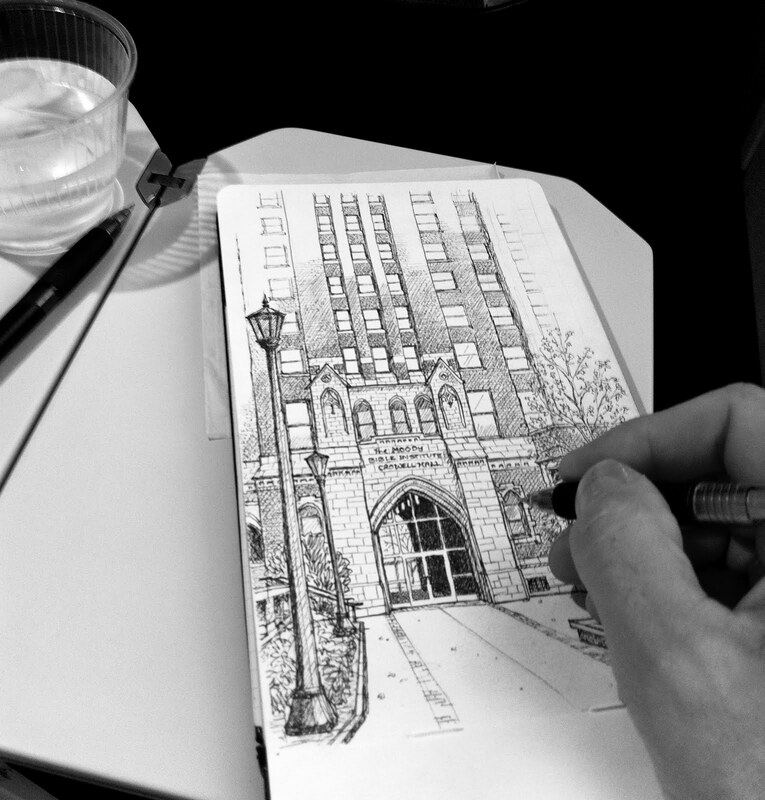 I always start with a pencil sketch. 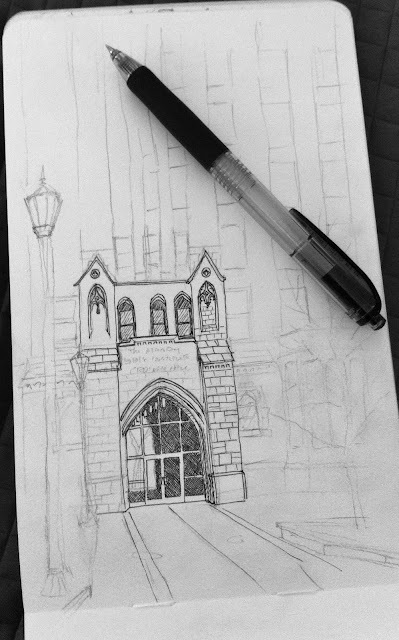 I try to work as quickly as I can - getting as much detail as I can. It was cold in Chicago this day so I worked extra fast. Then I start to darken the sketch with my gel pen - inside the warm building! I was able to finish the pen work on my flight from Chicago to Anaheim today. Thankfully, it was a smooth flight. Drawing made my four hour flight speed by. 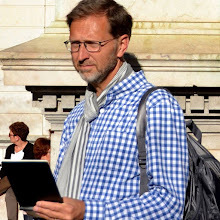 Do you have a thing that you do where you lose track of time? It's good that you find that "place" - the "zone". 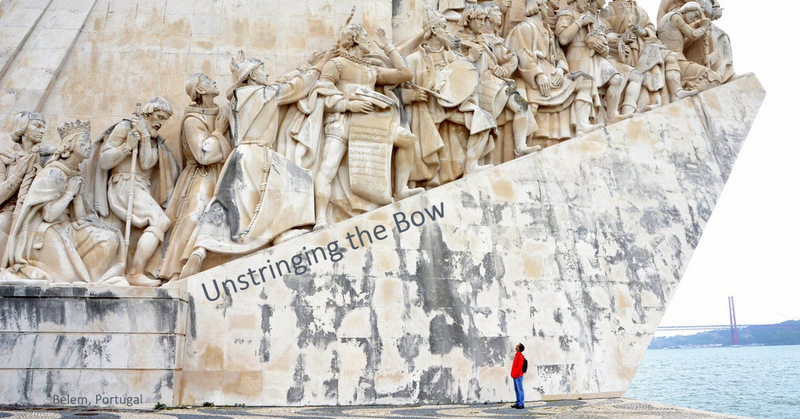 I also call it "unstringing the bow". I LOVE this one! The Arch is one of my favorite places in the world. Nicely done.